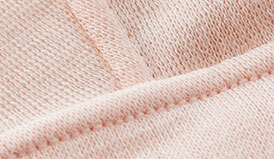 Our handmade, breathable underwear feels like being wrapped in air. 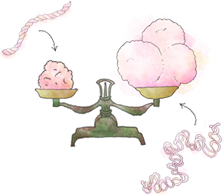 Fleep is an everyday comfort to women with sensitive skin. 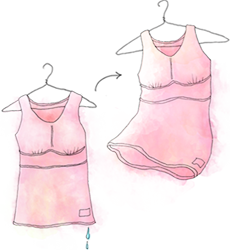 Fleep underwear liberates women with sensitive skin from being distracted by skin irritation. 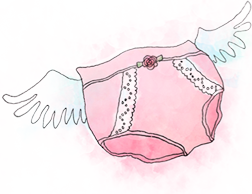 Handmade and developed in Japan, our goal is to make underwear that feels second only to not wearing anything at all. in our pursuit of ultimate kindness to your skin. 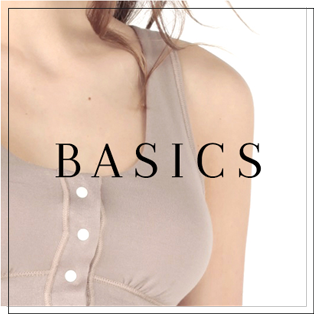 The BASICS collection uses highly stretchable cotton based material for superior kindness to your skin. 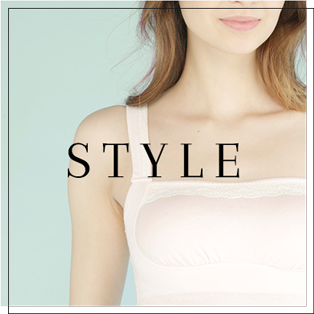 Comfortable wear recommended for women with sensitive skin. STYLE collection uses a 2 layer material, “air knit” method. 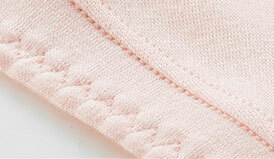 With attention to detail, we have combined soft material and lace for a stylish design. 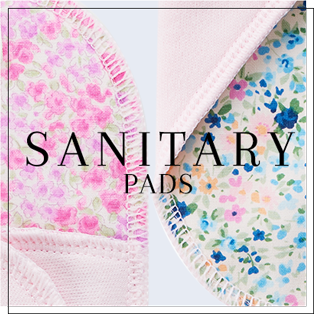 Breathable, low friction cotton sanitary pads. 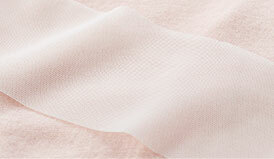 Recommended for women who have sensitive skin conditions and problems using commercial sanitary pads. 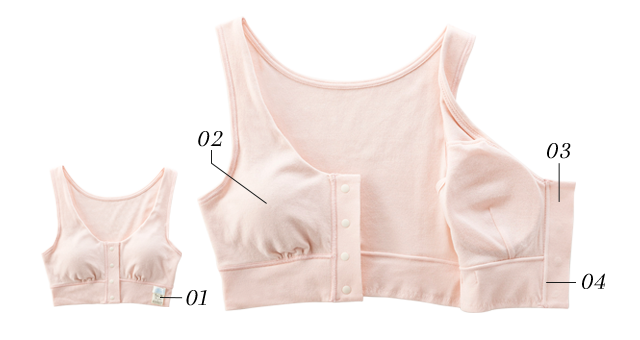 From thread and fabric production to sewing, all manufacturing is done in Japan. to a Japanese quality control standard. 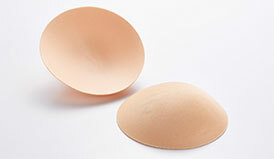 I have never worn such a stress-free bra like Fleep. It isn't tight, the material is breathable, and I don't get shoulder pain. I can wear it all the time. I am wearing Fleep after my breast cancer surgery. 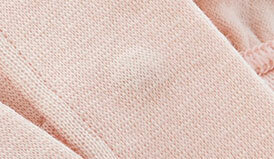 The fabric is super soft and sewn in a way that the seam doesn't rub against my post-surgery wounds. It isn't tight under the breasts and the fitting is just right. 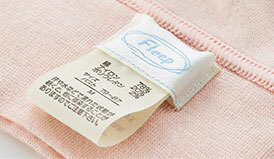 I was surprised at how soft and nicely fitted Fleep was. It doesn't give me that sense of tightness I usually experience from wearing underwear. 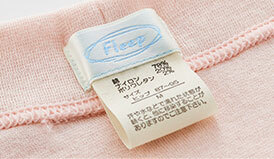 Fleep is now a must have item for me which I will keep wearing for a long time. I wear Fleep as my bedtime wear. I like it as my skin doesn't get itchy from the fabric. Copyright (c) Shimazaki Co.,Ltd. All rights reserved.